HGR Group is a Certified Inspection Company serving Broward, Palm Beach and Miami-Dade Counties. Our professional team of experts have extensive knowledge and international experience in Residential, Commercial Inspection and Development for the Construction Industry. We assist our community to responsibly provide precise inspection reports with State Certified procedures to help you maintain your Real State property at the Best Value. By introducing innovative technologies and techniques we enhance the efficiency in the use of your common services. All of our employees are skilled professionals, with the proper training, and a minimum of 7 years experience in home construction and inspection related services. Our expertise and dedication to your needs will provide you with a professional commercial or residential inspection experience. 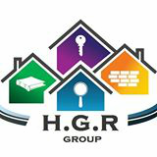 We look forward to serve you at HGR Group.